Captain James Fachtmann, has been sailing boats since he was 10 years old. After growing up sailing/racing various boats from Lasers, Zumas, O’day Daysailors, Snipes, and hobies to J24, J29, J30, S2, Catalina, Harmony, Ranger, Hunter, Beneteau, Jeanneau (the list goes on and on and on) in and around the Tampa Bay area, James sailed competitively in New England as a member of the Norwich sailing team. After years of sailing with his twin brother, Richard and his father Bob Fachtmann (Winner of the Boat of the Year Dunedin Yacht Club 4 years), James learned Navigation/ Celestial , Seamanship, and Ship Systems as a US Navy Mid-shipman. James raced on various sailboats that took him to Cuba, Mexico, the Bahamas, and the BVI’s. 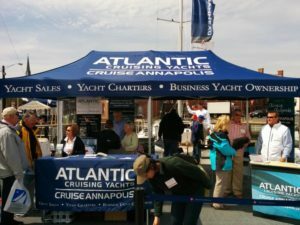 Mr. Fachtmann crewed and captained for various companies to include the Sea Scouts, The Moorings, Marina’s International, and Yacht Sales Florida. 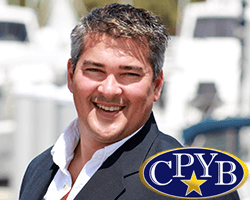 James is currently a USGC Licensed Master Captain 50/100 Ton and a Licensed and Bonded Yacht Broker. While not sailing the Deep Blue, James is either piloting Boeing aircraft for AirTran Airways as an airline pilot, helping clients find their dream yachts, or spending time with family and friends. Take advantage of his unique talents and nautical experience. 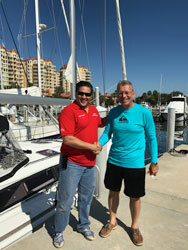 It was during the St. Pete Boat Show of December, 2011 that Katy and I met Michael Eldridge. He was in the US Air Force and I was an Airline Pilot. We met on a new 2011 Jeanneau Yacht when he asked me if I could help him find his first Sailing Vessel and teach him and his wife to sail. She was still serving our country over seas and he wanted to surprise her with their first Sailboat. I recall thinking to myself almost five years ago,“Maybe he would buy a newJeanneau from me…down the road.” In less than a week, we were able to achieve his first sailboat goals with a near perfect 2007 Catalina 309 that was so clean that you could eat sushi right of the bottom of the bilge. We made an offer that was accepted and by the end of the month he and his wife, just home from overseas, were proud sailboat owners.